Click on the member of your choice to be directed to their website and view their products. UK-based Ping Ping Jewellery offers a range of gorgeous, fast-selling pieces featuring jade, pearl, coral agate and other semi-precious gemstones mounted on silver or gold. Ping Ping’s ranges include something for every market; from striking contemporary designs using brightly coloured, semi-precious gemstones to traditional pearl necklaces and bracelets. The company wholesales a vast range of stung and un-strung freshwater pearls, as well as offering luxurious Akoya, Tahitian and South Sea pearls. 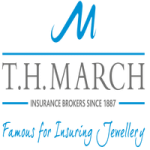 T.H March & Co. Ltd are recognised as the foremost brokers to the jewellery and allied trades, they also offer a broad range of commercial and personal insurances, with some policies offering exclusive discounts for jewellers. For over 129 years, Jewellers’ Block Insurance has been at the heart of T.H March business, so the expertise they can put at your disposal is unsurpassed. T H March not only truly understands your industry, but values your individuality and the challenges this can bring. As market leaders in the specialist insurance covers needed by jewellers, rest assured that their unique insight into the jewellery and allied trades enable them to constantly evolve policies around you and your needs. Dig into the past with TH March & Co. Ltd to relive their history and see how weddings have changed across the last 130 Years by watching this video! Enjoy! Wilson’s Restringing Service Ltd was established in November 1994 and over the past 22 years has seen many changes in the work that comes in. They have expanded their knowledge and skills to keep up with modern trends and can offer a highly skilful, experienced, quality service. They only use the best materials to ensure a clients’ treasured jewellery is restrung to a high standard. Wilson’s restringing offer competitive pricing and a fast turnaround along with excellent customer service. Most importantly, they value every job and give it the care that it deserves as if it was their own. Jewellery Imaging specialise in the photography and videography of jewellery. Experts in the art of capturing the unique radiance of stones and precious metals, the media they create will impact upon your sales figures. Exquisite digital images can be created for online purposes or for marketing materials such as jewellery catalogues. 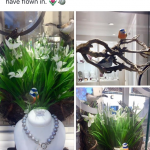 Jewellery Imaging have a secure studio conveniently located in the heart of Belgravia, near to transport links. A honorary member of the NAJ (National Association of Jewellers), the AOP (Association of Professional Photographers) and the BPA (British Pearl Association). Designer Melanie Georgacopoulos is by nature a storyteller. With a background in sculpture she works with materials in new ways to release their potential and open the viewer up to new interpretations. Given this method, working with pearls is a natural choice as their organic construction means each one has an individual beauty. 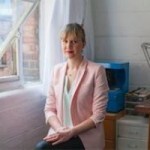 Her history has seen her complete a masters at the Royal College of Art before working as a freelance designer. Through this journey her work has evolved so that at its heart is an appreciation of structure, her inspirations are rooted in organic form and materials. In Melanie’s work the paradoxical, intriguing nature of the pearl remains at the core of every piece, whilst the aesthetic remains simple, structured and timeless. She reworks a traditional material with fresh eyes to infuse it with new life and give it modern relevance. Her collections challenge existing preconceptions of classic pearl jewellery but also some of the basic shapes and forms of jewellery design itself. It is this unique approach which has seen her show to great acclaim at the Rock Vault initiative at the heart of London Fashion Week in previous years. Melanie presents her collections regularly at Paris Fashion Week, Vegas Couture and most recently the prestigious Goldsmiths Fair in London. Melanie’s recognition for her work with pearls has led to exciting developments, in 2013 she revealed M/G Tasaki, her new directional collection produced in exclusive collaboration with the fine Japanese Jewellery company. The collection is renewed seasonally and marries beautifully Melanie’s flair to cross design boundaries with Tasaki’s world-renowned quality craftsmanship. With more than a century of expertise innovating safety solutions and dedicated to promoting safe living and working environments, UL helps safeguard people, products and places in new and important ways, facilitating trade and providing peace of mind. We provide the knowledge and expertise to help customers navigate growing complexities across the supply chain, from compliance and regulatory issues to trade challenges. UL jewellery testing programs mitigate risk, help ensure regulatory compliance, quality and brand protection, and facilitate global market access. Registered with the U.S. Consumer Product Safety Commission (CPSC) as an accredited third-party testing laboratory, our worldwide locations test to international, federal, regional and industry standards including REACH compliance. Our global UL Jewellery Centres for Excellence are each staffed with a dedicated UL jewellery team comprised of seasoned jewellery industry professionals and safety scientists. UL jewellery inspection programs provide a vital check on product and manufacturing quality at every stage of production to help minimise potential quality issues along your supply chain. 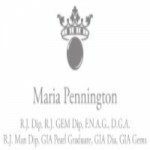 Our global, multi-­lingual team of jewellery inspectors includes Master Gemmologist Appraisers, Diamond Cutters, GIA Graduate Gemmologists, GIA Diamond Graduates and Accredited Jewellery Professionals. As the jewellery industry continues to source goods and materials in ever more dynamic ways, UL’s Consumer and Retails Services (CRS) division can provide responsible sourcing solutions to achieve crucial peace of mind and instill consumer confidence and integrity behind your brand. UL CRS division provides responsible sourcing auditing and advisory services, which include supply chain monitoring, training, research and program development. UL is approved by the Responsible Jewellery Council (RJC) to conduct Certification assessment throughout the jewellery supply chain, as well as an approved auditing firm for the Signet Responsible Sourcing Protocol (SRSP and D-SRSP) Fairmined, the Electronic Industry Citizenship Coalition (EICC) and London Bullion Market Association (LBMA) to conduct Conflict Minerals assessment globally. UL has opened the new Jewellery Centre of Excellence in Reading, UK. From mines to manufacturers, wholesalers to retailers, UL offers a wide range of services for the global jewellery and precious metals industries. This new state-of-the-art laboratory will be an expansion of UL’s global jewellery, watch, precious metals and gemmological network. Kyoto Pearl was established in London, United Kingdom in 1992 with the ambition to provide the finest genuine freshwater pearls at a reasonable price. From the very beginning, we have aimed to celebrate the pearl as an organic and lustrous gem and our passion for the mythical pearl has only increased during the years. Our jewellery is an echo of our history and knowledge and each of our designs reflect our high standards and desire to combine timeless elegance with modern design. From humble beginnings serving our first customers throughout London, today we are providing genuine freshwater pearls to stylish women worldwide. Now a global brand, Kyoto Pearl features in over 40 countries and each collection reflects the moods and fashion of each territory. Kyoto Pearl works with a number of expert designers based in France, Italy, NY and USA and only uses best of breed suppliers. Stringent quality controls ensure our pearls are of the represent quality and value for money. 1) Creating effective window display and visual counter and cabinet display. 2) Brand building, developing and enhancement. 3) Facilitating and developing bespoke training requirements covering all areas of pearl jewellery and jewellery retail. 4) Event management . Maria will advise or help create your bespoke customer event or promotion, for example cocktail evenings, afternoon tea with lecture etc. Janie’s Stringing has been established for over 20 years and provides a fast and reliable postal pearl-stringing and jewellery restringing service. The company restring necklaces and bracelets, both knotted and unknotted, normally using silk thread. It specialises in pearls and semi-precious stones, but can work with any type of fully drilled beads. Janie’s Stringing specialises in matching lost pearls and other types of beads as closely as possible, and will also redesign pieces if required. With a 20 year long history in pearling, Atlas is a global leader in eco-pearling and one of the top producers of the highly sought after silver and white South Sea pearl, commonly known as the queen of all gems. Atlas South Sea pearls are harvested from five pearl farms extending through the Indonesian archipelago to West Papua. 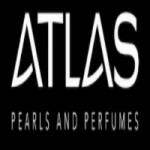 Atlas has established and secured a solid and direct relationship with leading global retailers and supplies major brand names and fashions houses on Fifth Avenue, New York and Place Vendome in Paris. Atlas pearls and jewellery are available at our showroom in Seminyak as well as North Bali, and for the more adventurous, at Punggu, Flores and Alyui, West Papua. A specialist collection of Pearl jewellery that bridges the gap between high fashion and classic design and is bought by a wide range of retailers from independent gift and interior retailer’s to fine jewellers, multiple retailers, health spa’s and department stores. The emphasis is always to use the highest quality Pearls and to combine unusual shapes, natural & dyed colours and other materials to offer designs that will appeal to all ages and budgets. New this season is a comprehensive collection of bridal jewellery from inexpensive delicate single rows & pendants, statement necklaces & multi-row collars featuring crystals, chandelier earrings & gift boxed sets. We also offer lovely strands of pearl ropes up to 100 inches. Our best selling 7 strand illusion necklace is now available in 23 colours with matching bracelet & stud or drop earring and is the ideal necklace for Brides, Mother-of-the-Bride & Bridesmaids. 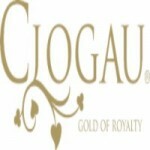 Clogau, winner of ‘Brand of the Year’ and ‘ Bridal Collection of the Year’ at 2015 UK Jewellery awards, is a second generation family business based in Wales. For 25 years, our growing range of jewellery has captured the hearts and imaginations of jewellery lovers from far and wide. Every piece we create contains rare Welsh gold from the Snowdonia mountains. In 2014 we celebrated our 25th anniversary, commemorating the founding of Clogau Gold of Wales Ltd and all that has been achieved during this time. The Clogau story is still in its infancy although our Royal heritage and cultural legacy spans the last century. Amongst the many reasons our customers purchase Clogau jewellery, with rare Welsh gold, is because it is seen as an heirloom with both a personal and cultural meaning and a permanent tie to Wales – something valuable to pass down the generations. It is our heritage that defines what we are, and provides the cornerstone for our future – a future that will hopefully be as successful as our story has been to date. Contemporary designer and jeweller, but old artisan at heart. Chiara creates one of a kind ,fantasy jewellery in her atmospheric moody studio in Sheffield. In an approach similar to one of the old masters, concepts and visions first find life as illustrations on paper, to then be translated in their three dimensional form by the award winning artist through methodical hand carving of wax models. Precious and semi-precious gemstones and pearls become part of the design as further narrative device, and the use of gilding and patina as surface finish sets the mood for the work and the story behind it. Samantha’s work takes nature’s beautiful, soft -flowing curves and infuses them with the graceful energy of ballet and the fundamental laws of physics to create fluid, liquid, forms which play with light. Her pieces are often polymorphic shapes ; portraying multiple different entities in a single form. The catalyst for every piece is a story – often inspired by ancient traditions and folklore. what she perceives as beautiful and meaningful and sharing it with others. 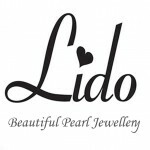 We make genuine pearl, jade and gemstone jewellery in our own High Street shop. We offer our expert re-stringing, repair and bespoke design services worldwide – at low UK trade prices. Buy with complete confidence – we are a small and reliable company with many regular customers. All the pearls we sell are genuine cultured pearls and come with our 100% guarantee. Pearlescence is obsessive about pearls. We live, breathe, think and handle pearls all day every day. Because of our obsession Pearlescence now holds one of the best stocks of pearls in Europe, from 1mm half pearls through to huge 20mm and bigger Tahitians, souffles and South Sea pearls. We have every size, shape and colour of freshwater pearl you could ever imagine, plus bead nucleated genuine Edisons and Mings, in round and fireball forms. Add in Akoya too. We travel twice a year to Hong Kong to find the best pearls (if it’s not metallic we aren’t interested) and if you want something we don’t have in stock we can track it down, even to talking to the pearl farmers themselves. We also stock every finding you might ever want, plus silks. And sometimes we make our pearls into finished jewellery too, either ready made or by commission. Frances Julie Whitelaw designs and creates elegant contemporary pearl jewellery in silver or gold. The range includes cocktail rings, unique pearl and chain necklaces and stylish earrings. London-based jewellery designer Lee Renee effortlessly blends fashion and craftsmanship, and is a fast growing name in the fine fashion jewellery sector. Thanks to her signature blend of delicate, exacting and narrative- driven pieces that are easy to wear and tell powerful, distinctive stories. Beautifully designed and expertly crafted, they make timeless additions to any jewellery collection. 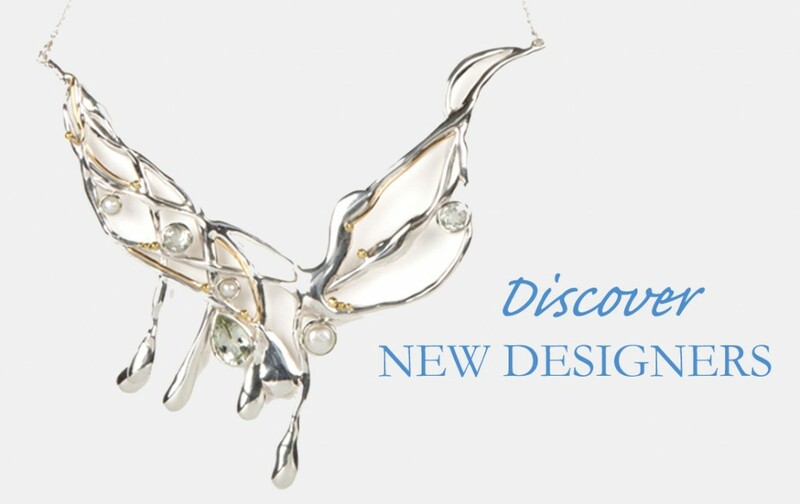 Emma -Kate Francis is renowned for designing exceptionally, beautiful romantic jewellery, handcrafted in her boutique atelier in Cowbridge, Wales. She strives to make top quality pieces made with special care and attention to detail. Her mission is to create timeless and elegant investment pieces of jewellery that her customers can treasure. Hidee embodies my love of the feminine – chic, tactile and artistic. Hidee designs are timeless, for women who want eye-catching elegance achieved with ease and simplicity. In the grey monotony of corporate financial London, adornment is scarce. Evie’s collection aims to inject that monotony with moments of glamour, with pearls and precious stones in a graphic design set into concrete, mimicking the appearance of fabric. Hidden under a collar or behind a tie, these pieces are not intended to impress the public, but to give the wearer a private sense of luxury, while abiding to the strict dress codes of the suit. With a strong belief in the power of jewellery to uplift the spirits, collections are imbued with symbolism and meaning, from crystal stones to ancient talismans. Most of Mirabelle jewellery is produced by fair trade suppliers using sterling silver, 22k gold plated metals, brass, bronze and semi precious stones, from trusted sources. Agora Jewellery creates its own stunning designs in-house, including seasonal and bespoke jewellery as well as limited edition pieces. Adriana Walsh designs timeless rings, necklaces, pendants, earrings, brooches, bangles, cufflinks and bracelets to wear daytime or evening. A stunning selection of contemporary styles, intricate filigree and semi-precious stones are ideal to enhance your work or social outfit and to make your evening gown stand out as the most unique statement. Matha Seely Design is a reflection of the many art forms which have inspired Martha over the years: fibre, fashion, forms found in nature, bold architectural details, the kinetic energy of objects in motion and her passion for the Art Nouveau and Art Deco movements. The Sequence Collection is a unique modern look for the classic pearl. Sequence presents Martha’s personal vision of wearable elegance for the modern woman understated, contemporary, graceful and sophisticated. Pearls By Fleur jewellery is known for being contemporary, confident and chic. Their real pearl collection features beautiful freshwater pearl necklaces, earrings, bracelets and rings. A modern take on traditional pearl jewellery – their unique designs incorporate the highest quality sterling silver and gold.